Matt asked me to write a blog about how my life was consumed by lifeguarding for six years. He wanted me to get into the details about saving, and trainings, but I spared the boring details and wrote this for his blog instead. It’s been a while since I’ve posted. Life happens I guess. But to get me back in the swing of things, I asked the lovely Kendal Ann to write me a guest blog about her experience lifeguarding. I, myself, have never been a lifeguard (but I did get my Lifesaving merit badge in Boy Scouts), but Kendal Ann was talking about it one day and it really interested me. Check out Kendal Ann’s blog here and I promise you, she’s a hell of a lot better at updating her blog than I am. In high school and college, I lived for summers. I spent my days stretched out in a chair, slathered in SPF 85 (yes, it’s a thing), occasionally jumping off the dock for a quick dip and always playing with kids. It’s a tough job, but someone has to do it. For five years, lifeguarding consumed my life. As downfalls of the job, my ginger locks would turn bleach beach blond, and it would always have a slight green tint to it. And I often found myself involuntarily yelling “No running!” at random kids on my days off. Sure as a lifeguard our first priority is safety, but there is so much more to the job than safety, getting awkward tan lines and working 15 hour shifts. Let’s get back to the trainings. I was originally hired to lifeguard at the YMCA (an indoor pool). After working at the YMCA for a year and a half—I was stolen. My supervisor put in a good word for me at the beach and the next day I was hired. I will always be grateful of her “stealing” me. (Note, I still worked at both the YMCA and the beach—I wasn’t exactly stolen, I was more of a timeshare). Working at the YMCA, we often had a training to refresh our skills. These trainings happened once every quarter (about four times a year). During the trainings, we would go over skills, back boarding, CPR and how to administer Oxygen. More often than not, they ended with the staff gathered in the hot tub. Working at the beach was a totally different story. Before the season started, we took three days to refresh our skills on back boarding, oxygen administration, AED and first aid. If that wasn’t enough, we had trainings every Thursday morning for two hours. It would begin with a few jokes and recognition, but beyond that, it was down and dirty—straight to business. We would swim to build our endurance (about a half a mile), and continue the meeting with saves and missing persons drills. Yes, there are days it’s sunny and no one is at the pool or the beach so you get to work on your tan, read a book or go swimming for fun, but that doesn’t mean it’s not a hard job. I had to go through a 30-plus-hour course and pay money to get certified. My certifications last a year, before I have to get recertified. The money is lifeguarding is good, but everyone doesn’t get hired. So, don’t tell me I am just sitting there looking pretty, and getting paid to tan. Sir, you aren’t watching your 3-year-old in the water, and more than likely—you’ll be thanking me later. Lifeguarding isn’t as glamorous as a gig as people make it out to be. Even though there are hard days, angry parents, and clingy children, at the end of the day I loved my job. For five years lifeguarding consumed my life, and honestly I wouldn’t change a minute of it. I met some of my best friends through lifeguarding. And thanks to lifeguarding I am not afraid of most situations, I know how to survive in the coldest water conditions and I can swim the “Bermuda Triangle” (it’s a Wisconsin thing)—no sweat. Next time you’re at the pool and you think the lifeguard is cute and just soaking in the rays—think again. I challenge any of you to take a lifeguarding course, pass the test, get hired and then keep your job. The World Series is underway. We are a few games in and it is a breathtaking game. There is still no outcome of who will win and come out on top. It is a fist clenching series, which will keep you on the edge of your seat. To me, the World Series are an important time in baseball, and I would argue that any baseball fan feels this strongly about the World Series as well. The World Series isn’t about your team, it’s about the game…okay, okay it is a little bit about the teams, but if your team doesn’t make it, then it’s absolutely about the game. It’s about the beauty of uncertainty, power, the excitement and the fans. Sometimes there is an underdog who takes it all; honestly it’s about the game. There were other postseason championships that took place as early as 1884. These were World Series, too, matching the champion of the National League against that of the American Association, but when the latter circuit folded in 1891, there was no interleague postseason contest until the warring AL and NL came to a peace agreement in 1903. The World Series is Don Larsen’s perfect game. The Babe’s called shot. Willie Mays robbing Vic Wertz. The World Series is about the best of the best that season. Each year, teams play each other in hopes that at the end of the season, they will play in the championship. The World Series is a best of seven series that celebrates our national pastime. I would say this is an event every year which is as an important as any holiday. This is as important as Thanksgiving, Christmas, New Years Eve and even the Fourth of July. Just like the start of any season, we are anxious with anticipation; we are anxious for the World Series. I am more anxious for the World Series than I am for Christmas Eve. For a little history, many changes were on the horizon and in 1901, the American League was established much to the dismay of the senior circuit. Suddenly, baseball found itself engaged in a “civil war” as both rival leagues competed separately for the fan’s loyalty and attention. Two years later, a truce, previously known as the “National Agreement”, was redefined outlining baseball’s employment, salary and travel requirements. The 1903 compromise produced the business blueprint for major-league baseball and resulted in a merger that has lasted to this day. Once again, Boston and Pittsburgh, the top American and National League teams, found themselves competing against one another in the first official “World Series”. in closing, I read an article the other day that just about sums it all up. The article was found on Slate.com and called, Why Kids love Baseball, by Jordan Ellenberg. I tried to make my son into an Orioles fan, like me. But the day at Miller Park he saw Carlos Gomez steal second, then third, then break for home, scoring on a wild pitch, like he was playing Atari baseball against a team of hapless 8-bit defenders, he became a Brewers fan for life. (To be precise, he describes himself as 70 percent Brewers, 30 percent Orioles.) We get along fine, in our mixed household. The inconsistency of our rooting interests doesn’t bother him. If there is a lesson baseball can offer us, it’s one about our deepest commitments; that they’re arbitrary, and contingent, but we’re no less committed to them for that. If I’d been born in New York, I might have been a Yankees fan, but luckily for me, I was born in Maryland, so I’m not. Jerry Seinfeld once remarked that baseball fandom, in the age of free agency, amounted to rooting for laundry. That’s not an insult to the game, as Seinfeld, a giant Mets fan, surely understood; it’s a testament to its deepest strength. My son’s love for the Brewers, like mine for the Orioles, is a love with no reason and no justification. True love, in other words. There you have it folks. You just love the things you do, and there is no changing it. To me, baseball is something I will always love; baseball was the first thing I fell in love with. It is like true love. As the childhood rhyme goes, In 1492, Columbus sailed the ocean blue. Every October 14th we “celebrate” Columbus Day. Christopher Columbus discovered a New World: America. Like we learned from our grade school history classes, Columbus did not believe the world was flat; he believed its circumference was much smaller than it is. This helped him develop his west-to-East plan. Which would in-turn lead to his discovery of the New World. A few more facts that we also learned growing up: Columbus used three ships on his voyage the Nina, Pinta and Santa Maria. Columbus tends to be credited with discovering America, but that assertion is not historically true, Christopher Wanjek wrote for CBS News Thursday. So why does the U.S. celebrate Columbus? Wanjek argues that because the U.S. was fighting with England in the early years of the nation’s existence, colonists chose to discount John Cabot’s discovery of Newfoundland around 1497 and go with Christopher Columbus as their heroic explorer instead. So what’s your opinion is Columbus a hero, a villain or both? Whatever you think we have to remember that Columbus Day is celebrated in the United States, but many nations home to, visited and/or explored by Christopher Columbus also celebrate the holiday in their own ways. Twelve years ago I was at Holy Angels School. I was sitting my my computer class, waiting for the time to pass. I was in the 6th grade. Right before the bell rang, teachers started to congregate towards the TVs, phones began to ring in the school, teachers were crying. Twelve years ago, the attacks on the USA happened. 19 terrorists from the Islamist extremist group, al-Qaeda, hijacked four commercial airplanes, deliberately crashing two of the planes into the upper floors of the North and South towers of the World Trade Center and a third plane into the Pentagon in Arlington, Va. The Twin Towers ultimately collapsed because of the damage sustained from the impacts and the resulting fires. After learning about the other attacks, passengers on the fourth hijacked plane, Flight 93, fought back, and the plane was crashed into an empty field in western Pennsylvania about 20 minutes by air from Washington, DC. Twelve years ago, these attacks killed nearly 3,000 people from 93 nations. 2,753 people were killed in New York, 184 people were killed at the Pentagon and 40 people were killed on Flight 93. The fires from the initial impacts were only intensified by the planes’ burning jet fuel. These fires weakened the steel support trusses, which attached each of the floors to the buildings’ exterior walls. With the damage to the buildings’ structural columns, this ultimately caused both towers to collapse. Also destroyed, were the 5 other buildings within the WTC because of damage sustained when the Twin Towers fell. And the collapse of the buildings left the area devastated. It’s been an on going process with thousands of volunteers who went to Ground Zero to help with the rescue and the recovery and clean-up effort. Finally on May 30, 2002, the last of piece of WTC steel was ceremonially removed. Today is a day of remembrance. This day is something we will never forget and it’s a day that made our Nation stronger. United we stand. Some people are under the impression that if we talk about the anniversary of 9/11 on every September 111th, then the terrorists won– and I 110% completely disagree with this statement. The fact that we remember this monuments day in our history, not only as a people, but as a nation shows true to who we are. On this day twelve years ago, and every day since, we have come together as a people. Our nation did the exact opposite to what the al-Qaeda wanted. We joined together, and we didn’t back down. Today is a day we will always remember, and we will never forget it. We must honor 911. 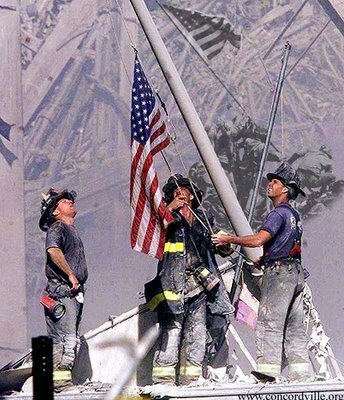 They tried to divide us and pull us apart, but 12 years ago we came together and this made us stronger. Thank you to those who continuously fight to make our country the greatest in the world. Four and a half years ago I made one of the best decisions of my life: rushing a sorority. Upon rushing, I didn’t hold Greeks to a high regard, nor did I understand what being Greek was all about, and worst of all I judged, classified, and stereotyped all of them. Not until my sister invited me down for family weekend with her sorority (Chi Omega) I didn’t get it. I didn’t understand why you would essentially “pay for your friends”. After that picnic and family outing something clicked, soon after I learned that my Orientation Leader in college was Greek and she was a Deepher. Four and a half years ago, I rushed Delta Phi Epsilon, and it was the best decision I’ve ever made. Since graduating college and being on my own, I was worried that I would lose my DPhiE roots. I made it a priority that I wouldn’t cut those ties. Being Greek isn’t about four years, it’s for life, and frankly it really bothers me when people now will say oh, I was a so-and-so…no, just because you’re not an active doesn’t mean you are not a part of that organization. You most certainly are. I forever and always will be a Deepher. With all of that being said, yesterday was a perfect day with my DPhiE alumnae sisters. A year and a half ago I co-founded the Delta Phi Epsilon DC Area Alumnae Association, and I couldn’t be more thrilled with the outcome so far. Yesterday, was a lovely afternoon spent doing something new and something old. 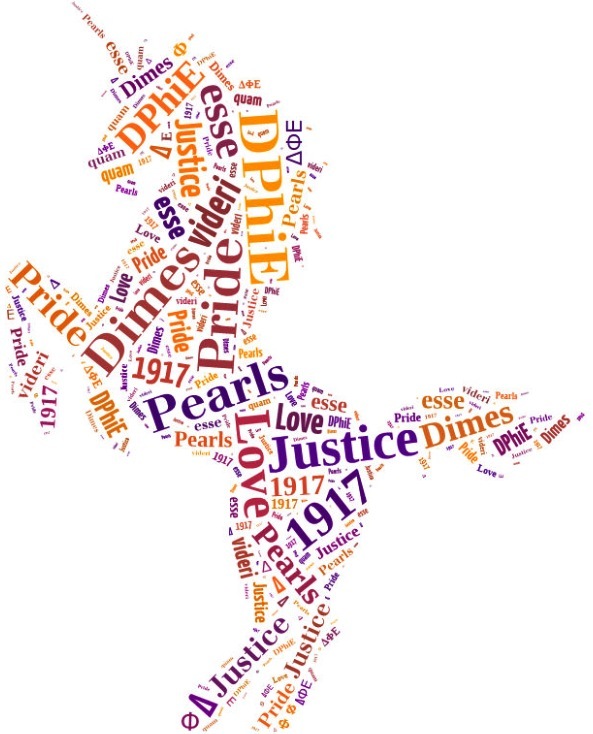 We put together our DPhiE past with the present. We crafted, we drank, we reminisced and laughed. Having the opportunity to meet and connect with such awesome women is something I will always be forever grateful for. These women truly brighten my day yesterday and really helped me out when I was in a funk. Crafting is one of the most enjoyable things, it’s such a great stress reviler, and not to mention it’s a creative outlet! 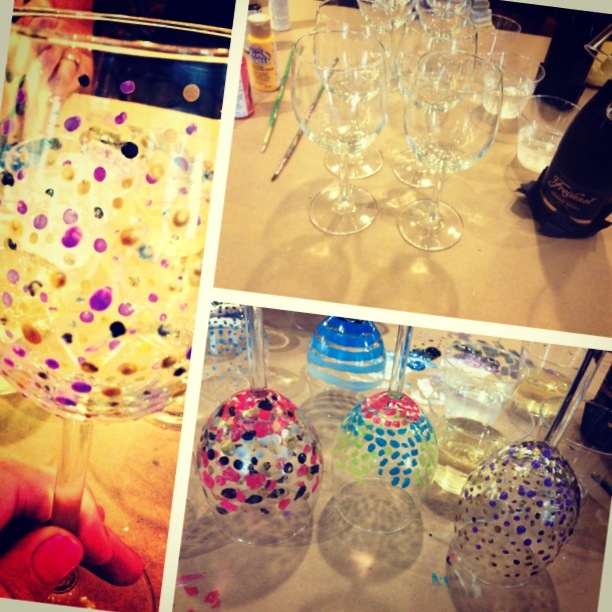 A crafternoon with champagne and wine glasses, was an awesome treat! Sure we don’t get together all the time, but when we do, you better believe we are going to have a great time and not let a moment pass us by! As it’s been said b efore: “People ask why I am in a sorority and I try to explain all the things a sorority is that they cannot see. A sorority is more than letters on a sweatshirt, I say. More than traditional songs, a gold pin, rituals, and obligation, or a way of life. A sorority is learning about people, a sorority is giving without expecting a return. A sorority is earning respect from others, as well as for yourself. A sorority will not solve all your problems. But I have made good friends and found confidence there to help me take life one step at a time.” And you know what all of this just goes to show, you get what you put in– so maybe it’s true, maybe “paying for your friends” gets you those awesome gems and diamonds in the ruff that you wouldn’t have found otherwise.